Chiffon Shirt (link), Disco Pants (link), Clutch (link) all American Apparel. Yes I am a walking advertisement for American Apparel, but I don't bloody care as I love the outfit. Feel like I've been awol from the blog again - work/uni is manic and I've caught the dreaded flu (I think its the uni residential flu as everyone who went on it has had it). 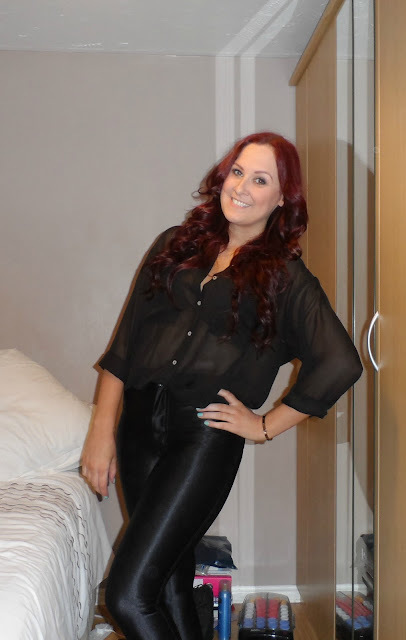 If you want a nosey into what I had in my handbag that night click here.